The U.S.A.F. Space & Missile Systems Center has announced that the launch of a SpaceX Falcon 9 carrying the first Lockheed Martin-built Global Positioning Systems (GPS) III satellite has been re-scheduled from December 15 to December 18. This date alteration is due to the need for launch range accommodations for a NASA re-supply mission to the International Space Station on December 4. 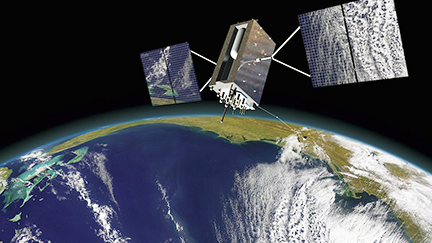 GPS III will deliver innovative and resilient capability aligned with the Space and Missile Systems Center’s SMC 2.0 initiative. SMC 2.0 focuses on speed, innovation, and partnerships with foreign allies and commercial space companies to deliver capability to the warfighter.